Did you know that when you scratch Vellum Cardstock (101856) it turns white in addition to puffing up that area? Using this technique will give your projects and cards a very beautiful and unique look. I taught my stampers this technique during my recent technique class and they made 2 beautiful cards. 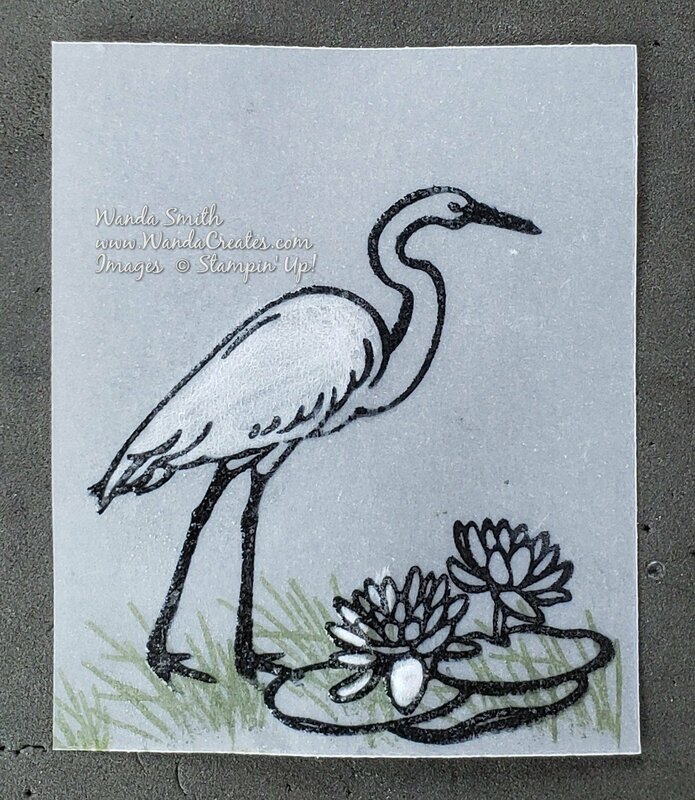 You can download a Free PDF of the Lilypad Lake Crane card below. With the stylus, you can lightly scratch the back side of the stamped image. Doing this will raise/puff up that area while turning the vellum cardstock white. You can leave the image as is when it’s done or color it in with Stampin’ Blends or Stampin’ Write Markers. Download your Free PDF card recipe and recreate this card or make your own Vellum Magic!